An easy state chart maker that helps make state chart with free templates. Quickly and easily create state chart from data in minutes. Discover why Edraw is an awesome State Chart maker: Download it Now. 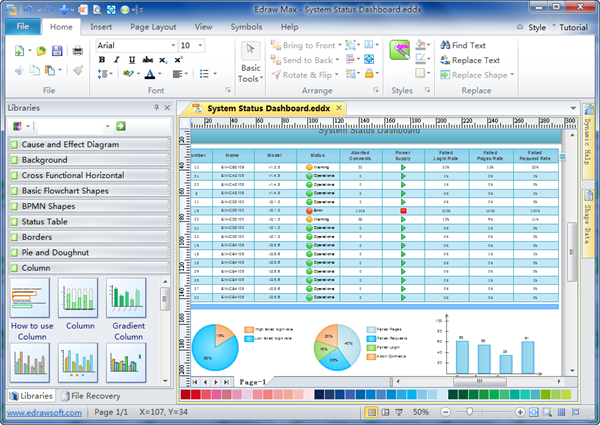 Edraw State Chart maker is particularly designed application automating the creation of charts and diagrams which are interactive and printable. You can get accustomed with it soon because the interface is quite similar to MS applications. All you need to do is to simply drag and drop symbols, apply built-in designed themes, and automatically export your finished state chart in a presentation or other formats with only one click.